Dyson DC14, DC18 Cable Protector Dyson Part Number: 910359-02 Genuine replacement DC14, DC1..
Dyson DC15, DC18 Brush Bar Motor Front Mount, 907356-01 Dyson Part Number: 907356-01 Brush Bar M..
Dyson DC17, DC18 Handle/Wand Tool Clip Iron, 904111-08 Dyson Part Number: 904111-08 Dyson Iron T..
Dyson DC17, DC18 Wand Cap, 911131-01 Dyson Part Number: 911131-01 Dyson Iron Wand Cap. Manufactu..
Dyson DC17, DC18 Wand Release Catch, 911042-01 Dyson Part Number: 911042-01 Genuine Dyson Vacuum..
Dyson DC18 Air Duct Assembly Steel, 912369-01 Dyson Part Number: 912369-01 Dyson Duct Assy. Manu..
Dyson DC18 Axle, 911095-01 Dyson Part Number: 911095-01 Dyson Axle. Manufacturer/Part number: DY..
Dyson DC18 Barrel Wheel Axle 911151-01 Dyson Part Number: 911151-01 Dyson Axle. Manufacturer/Par..
Dyson DC18 Barrel Wheel, 911200-01 Dyson Part Number: 911200-01 Dyson Iron Barrel Wheel Assy. Ma..
Dyson DC18 Bin Assembly Dyson Part Number: 911684-01 Replacement bin assembly for your..
Dyson DC18 Bleed Valve Spring, 919900-20 Dyson Part Number: 919900-20 Dyson Spring. Manufacturer..
Dyson DC18 Brush Bar Motor Cover Upper, 912371-01 Dyson Part Number: 912371-01 Dyson Iron Brushb..
Dyson DC18 Brush Bar/Agitator Assembly Replacement brush bar assembly for your Dyson DC18 vacuum cl..
Dyson DC18 Brush Bar/Agitator Assembly Dyson Part Code: 912397-01 Replacement brush bar assembly f..
Dyson DC18 Brush Housing Clear, 911060-01 Dyson Part Number: 911060-01 Dyson Brush Housing. Manu..
Genuine Dyson DC18 Brushbar Motor Assembly Dyson Product Code: 921149-01 Replacement brushbar moto..
Dyson DC18 Brushbar Motor Cover Lower, 914295-01 Dyson Part Number: 914295-01 Dyson Brushbar Mot..
Dyson DC18 Brushbar Reset Switch, 911533-01 Replacement Dyson DC18 Brushbar Reset Switch Will fit ..
Dyson DC18 Bumper Strip, 911078-01 Dyson Part Number: 911078-01 Bumper for Dyson DC18 Series. 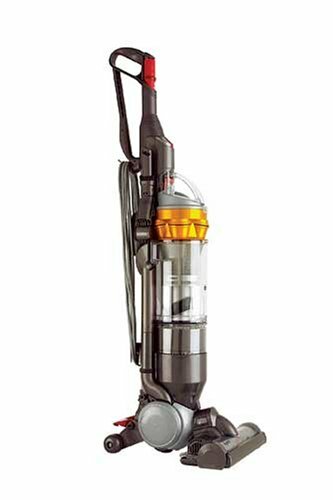 ..
Dyson DC18 Cleanerhead Assembly, 911693-01 Replacement Dyson DC18 Cleanerhead Assembly. There is a ..
DYSON DC18 COILED CABLE LOOM, 914316-01 Dyson Part Number: 914316-01 GENUINE DYSON DC18 COILED C..
Dyson DC18 Combination Tool, 911708-01 Dyson Part Number: 911708-01 Debris nozzle converts to a ..
Dyson DC18 Connector Block Assembly, 911087-01 Dyson Part Number: 911087-01 Dyson Cleaner Head C..
Dyson DC18 cyclone assembly, 911698-01 Dyson Part Number: 911698-01 Replacement cyclone assembly..
Dyson DC18 cyclone assembly, 911698-02 Dyson Part Number: 911698-02 Replacement cyclone assembly..
Dyson DC18 Cyclone Release Catch, 911037-01 Dyson Part Number: 911037-01 Dyson Cyclone Release C..
Dyson DC18 Duct Motor Mount, 911526-01 Dyson Part Number: 911526-01 This Dyson genuine duct moto..
Dyson DC18 Dust Bin Base Assembly, 911683-01 Dyson Part Number: 911683-01 Dyson Clear Bin Base A..
Dyson DC18 End Cap Assembly Left Dyson Part Code: 911701-01 Replacement end cap assembly - left - ..
Dyson DC18 End Cap Assembly Right Dyson Part Code: 911702-01 Replacement end cap assembly - Right ..
Dyson DC18 Female Connector Housing Assembly, 912368-01 Dyson Part Number: 912368-01 Dyson Femal..
Dyson DC18 Gimble Cover, 911084-01 Dyson Part Number: 911084-01 Dyson Gimble Cover. Manufacturer..
Dyson DC18 Hepa Post Filter Assembly Dyson Product Code: 911677-01 Replacement genuine hepa po..
Dyson DC18 Hose Assembly Dyson Part Code: 911694-04 Replacement hose / U-bend assembly for your Dy..
Dyson DC18 Internal Cable Assembly Dyson Part Number: 911040-01 This is a genuine spare part for..
Dyson DC18 Internal Hose Assembly, 916579-01 Dyson Part Number: 916579-01 Dyson Internal Hose As..
Dyson DC18 Lock Arm Assembly 911101-01 Dyson Part Number: 911101-01 Dyson Iron Lock Arm Assy. Ma..
Dyson DC18 Lower Cable Winder/Cord Hook, 911045-01 Dyson Part Number: 911045-01 Dyson Lower Cabl..
Dyson DC18 Lower Duct Cover Seal, 911031-01 Dyson Part Number: 911031-01 Dyson Lower Duct Cover ..